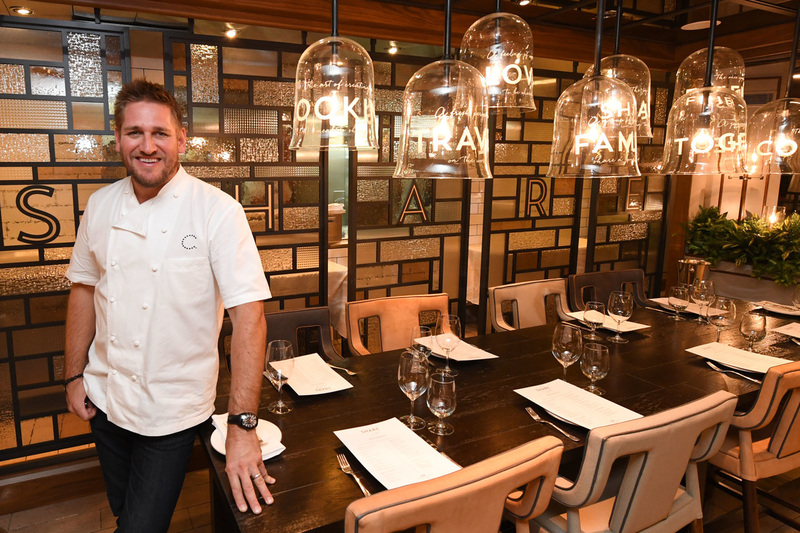 Australian holidaymakers will soon have the chance to dine at two Curtis Stone restaurants close to home, with the award-winning chef’s restaurant SHARE featured on two Princess Cruises’ superliners sailing in local waters. Officially opening SHARE by Curtis Stone onboard Sun Princess in Sydney, Chef Stone said he was thrilled that thousands of Australians were now enjoying his cuisine at sea. 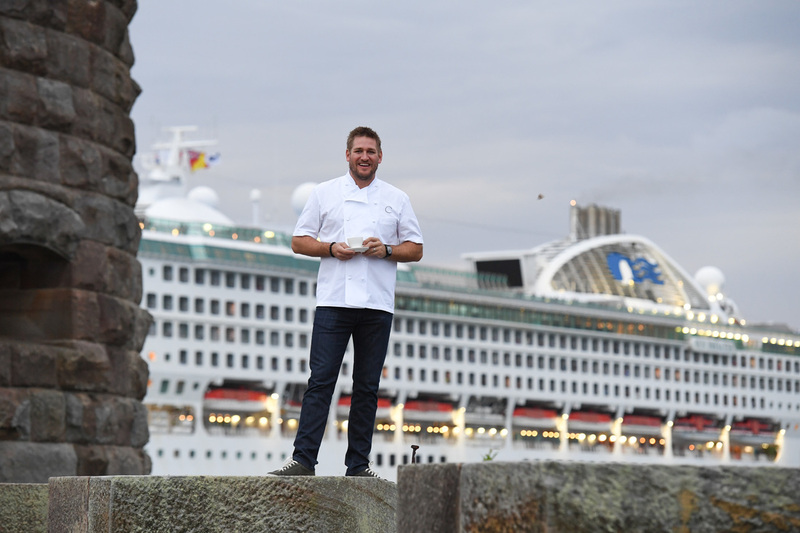 As part of the chef’s exclusive partnership with Princess Cruises, SHARE by Curtis Stone is available on Sun Princess, which is based in Australia full-time, as well as Emerald Princess, which arrives on November 15 for its first Australian season. Princess Cruises’ Ruby Princess, which sails in the northern hemisphere, also features a SHARE by Curtis Stone restaurant. “So much of my food ethos comes from my Australian upbringing so it means a lot to me that two of my SHARE restaurants are so close to home for Australians,” Curtis said. “From a food perspective, the Princess culinary team have come into my test kitchen in Los Angeles and I’ve worked with the chefs at sea to develop our offering. The menu for Sun Princess alone took about two months to finalise – I wanted to get the look and feel just right for the Aussie market, so I’ve developed a menu unique to the ship. Curtis said his passion for SHARE extended to the restaurant design. Princess Cruises Vice President Australia and New Zealand Stuart Allison said SHARE had been a hit with local guests since its introduction on Sun Princess earlier this year, with its roast chicken with bacon slab and charred onion slaw, and its warm bread pudding with toffee sauce proving particularly popular. “SHARE centres on a philosophy important to both Curtis and Princess – a dining experience with friends and family in an environment designed for exploring new tastes, while sharing in wonderful memories and great holiday experiences. We’re thrilled to have Curtis onboard and very excited to be offering two SHARE restaurants to Australian cruisers this summer,” Mr Allison said. Australia is the biggest market for Princess Cruises outside the US. With three Princess ships based in Australia year round and two deployed over summer, Australians spend more nights on Princess’ ships than on any other cruise line. Sun Princess cruises include a 12-night South Pacific cruise sailing from Sydney on April 25, 2017 priced from $1499* per person twin share plus an onboard credit of $100 per person. Meanwhile, an 11-night South Pacific cruise on Emerald Princess departing March 7, 2017 is priced from $1199* per person twin share plus an onboard credit of $100 per person. For more information visit www.princess.com call 13 24 88 or visit a travel agent. Australian Cruise Magazine is sailing on Sun Princess in November, so please look forward to extensive reports on SHARE and the other fantastic features onboard.